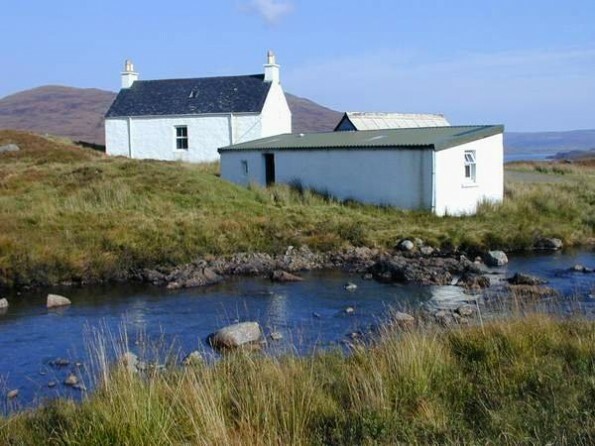 In a spectacular and isolated position under the Black Cuillin ridge, with sheep on the doorstep and a burn running close by, sits this unique old shepherd’s cottage, cosy and characterful, yet lovingly renovated. Come and explore everything that sensational Skye has to offer. Allt Dearg is the perfect base for walking, climbing and exploring Skye, and there is plenty to explore! From rare flora and fauna and ancient monuments to rugged coastal scenery and delicious local fare, there is something for everyone in this beautiful, unspoilt corner of the world. The cottage itself is warm and comfortable, exactly what you need in an environment that can feel wild and remote, and it provides a complete escape from the stresses of daily life, pollution, noise and technology. This is a wonderful secluded hideaway. 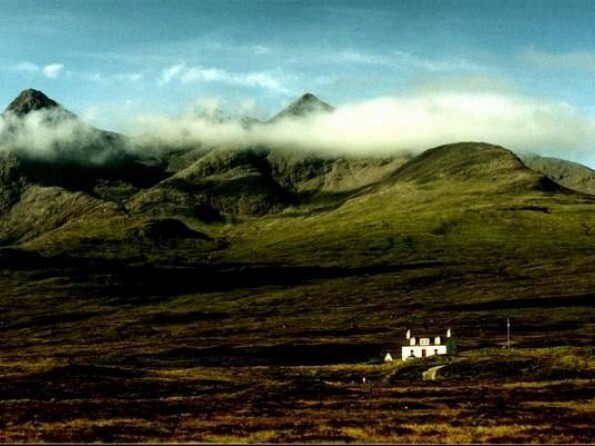 The cottage is ideally situated for walking, climbing and exploring the rest of Skye and there are hiking and mountaineering possibilities for people of all abilities. There is a 9 hole golf course at Sconser, a variety of boat trips on offer and a number of visitor attractions which are well worth venturing out for, from Dunvegan Castle and Armadale Castle Gardens to Edinbane Pottery and the Skye Museum of Island Life in Kilmuir. The wildlife here is wonderful, and there are all sorts of little galleries, museums and jewellery shops to keep you occupied. And at the end of a day of fresh air, activity and sightseeing, you can sink into a chair at one of the local hostelries, whether it be the Sligachan Hotel (just a 10 minute walk from the cottage BUT closed over the winter), the Kinloch Lodge Hotel or the Three Chimneys restaurant. Alternatively you could visit one of the breweries or wander round a farmers’ market. Skye is a place to be enjoyed with every sense. The accommodation is divided into the main cottage, which can sleep 5, and an annex which can sleep a further 3. All the beds have comfortable mattresses, the rooms have plenty of hanging and drawer space, and there are lots of spare blankets for the chilly nights. 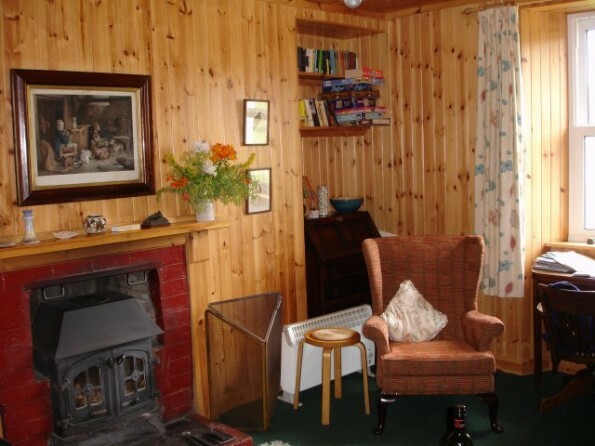 The sitting room has a multi-fuel stove/open fire to warm the cottage, and without a TV for distraction you can snuggle up in the evenings with a selection of books, jigsaws, board games and a radio/CD player. There is WiFi available so you’re not completely cut off from the outside world! The well-equipped kitchen provides everything you need to cater for 8 people, there is a large drying room, and the cottage has a bathroom (bath, toilet and basin) with a fantastic view (the bothy has a shower room). 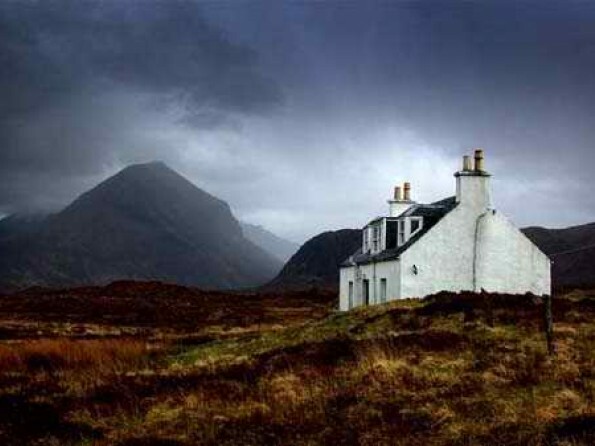 The cottage is surrounded on all sides by stunning Isle of Skye scenery, all waiting to be explored. 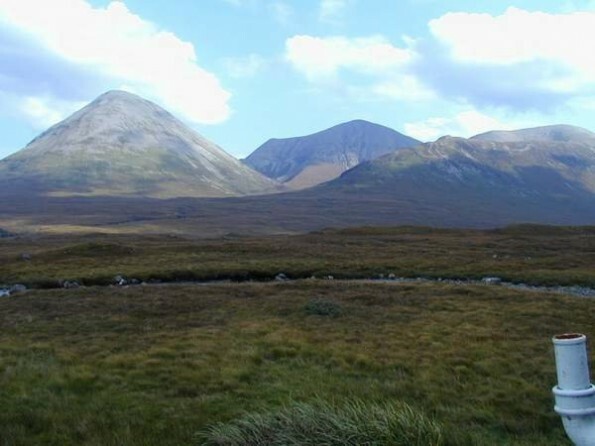 It is 1/4 mile from the main road up a private drive and only 1/2 mile from the Sligachan Hotel (closed in winter). We are happy for you to bring pets, but please keep them out of the bedrooms and off the chairs. There are sheep everywhere so please make sure that any dogs are under control.